The League of Legends Season 2 Championship just concluded this weekend. This was the largest in eSports history with a $5 million prize pool, with the winning team TPA pocketing a cool $1 million. Around 10,000 fans attended this event in person in Los Angeles, and an estimated 1 million fans watched the show this weekend in the US, and another 2 million worldwide. Other regular championships such as IPL and Major League Gaming are also consistently drawing 250k+ unique viewers in the US. So now you’re asking – huh, what’s eSports? eSports is the live sport of competitive video gaming. Yes, people watching other people play videogames like LoL, Starcraft 2, Halo, Street Fighter etc. Then consider that the viewership numbers generated by eSports are all online, i.e. over the Internet. If a major TV channel such as Spike or G4 were to carry these events, viewership could easily be 5x – 10x current numbers, and equal or surpass well-known TV shows. 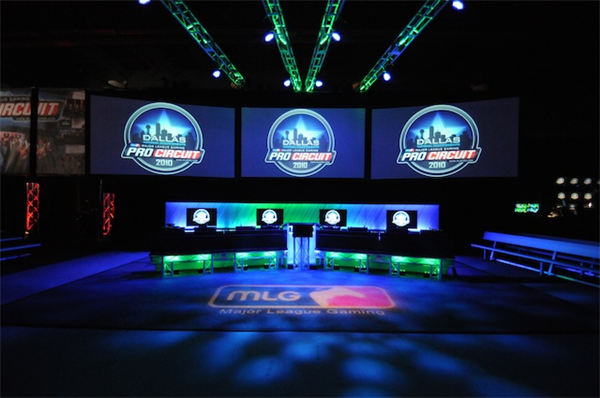 MLG already claims that it gets more viewers in the 18 – 24 male segment than any leading cable channel or TV show. Looking at Korea often foretells the future in gaming and mobile trends. GomTV – one of the best produced Starcraft shows – announced over 50 million viewers over the course of a 6 month season last year. 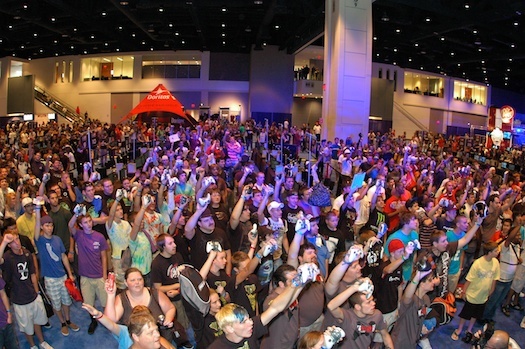 Over 120,000 fans showed up in-person to a live event. There are Korean on-air TV channels dedicated to broadcasting these games. Really. It’s easy to dismiss gamers as a bunch of nerds, a niche audience. But its hard to ignore the numbers. Warcraft has around 10 million active players. League of Legends has 15 million+ (2011). And then there are Starcraft, Street Fighter IV, Tekken, Halo, Diablo, Minecraft and a host of others. Video games have already been making more money than Hollywood for 3 years now, and are the #1 grossing apps on all mobile devices. They are solidly mainstream. I think MLG, IGN, Twitch.tv (Justin.tv), Curse and similar companies are well-positioned to ride this wave up over the next few years as eSports continues to get bigger and bigger. If you’re looking to start a new pro-gaming team and need funding, hit me up.